How do you and your coworkers effect change in the classroom? Two years ago, I asked our principal whether we could schedule a geometry class during first block with four teachers and about 25 students. It was our first year to implement our new CCSS Geometry standards, and we needed to try it together. I have learned over the years that it doesn’t hurt to ask – he might say no, but he might also said yes. Well, he said yes, and as you can imagine, sharing a class together has been important for us both as learners and as teachers. 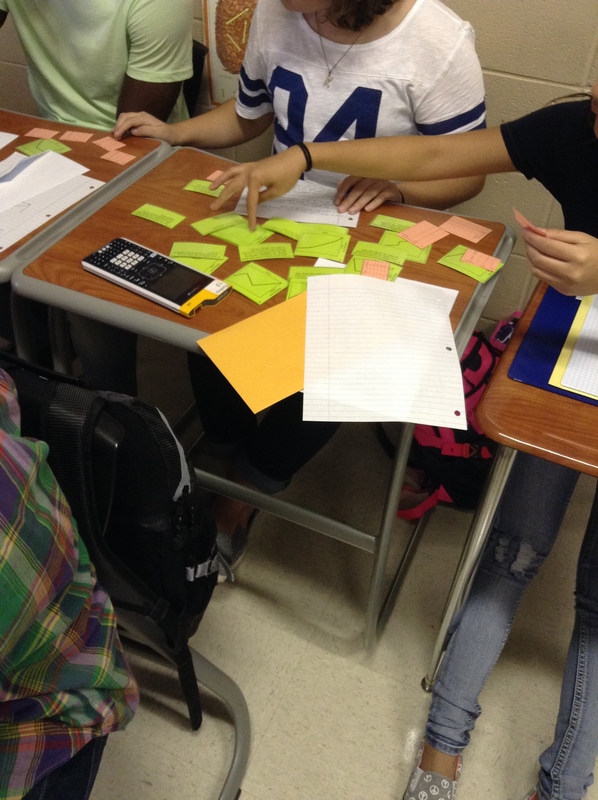 As one of the teachers reflected recently, “Participating in a class all year with a team of teachers is the best professional development I have ever had.” Last year, our Algebra 2 team had a shared class to implement their new standards, and this year, our Algebra 1 team shares a class. I visit as often as I can. We are building our course as we go, using all sorts of resources. We are using the framework from EngageNY, and we are using some of the activities and tasks in their lessons. 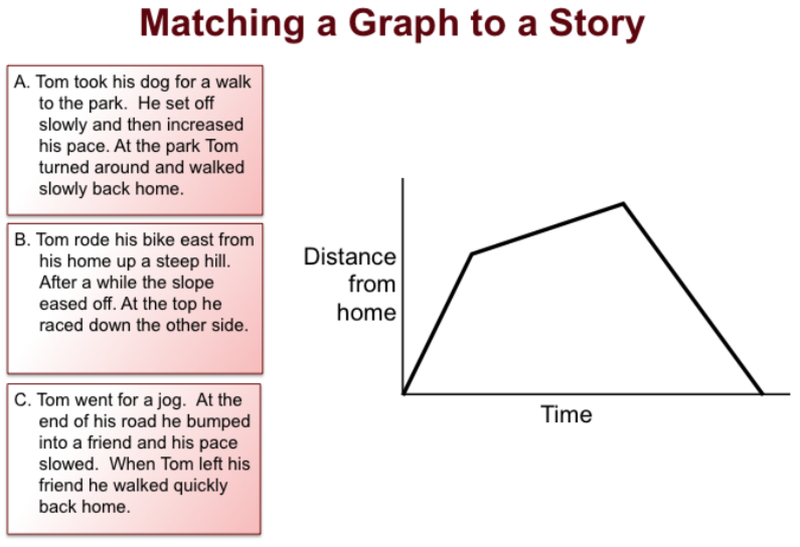 We have started with a unit on Graphing Stories. On the first day, we used Growing Patterns from an NCTM Article Coloring Formulas for Growing Patterns. Level 4: I can represent the number of tiles in a figure in more than one way and show the equivalence between the expressions. Level 3: I can represent the number of tiles in a figure using an explicit expression or a recursive process. Level 2: I can apply patterns to predict the number of tiles in a later figure. Level 1: I can describe the pattern and draw a figure before and after the given figures. How do you see the pattern growing? How many tiles are in H(5)? H(100)? H(N)? Some students completed a table of values, and some students drew a graph. On the second day, we used a Mathematics Assessment Project formative assessment lesson, Interpreting Time-Distance Graphs, with a focus on rate of change. Level 4: I can calculate average rate of change from a graph and a table. Level 3: I can calculate average rate of change from a graph or a table. 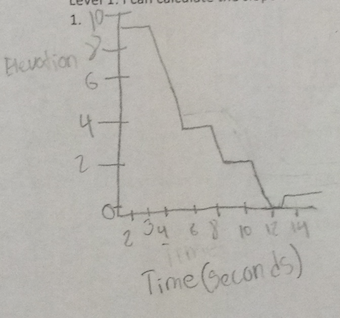 Level 2: I can match a distance-time graph with a story and a table. 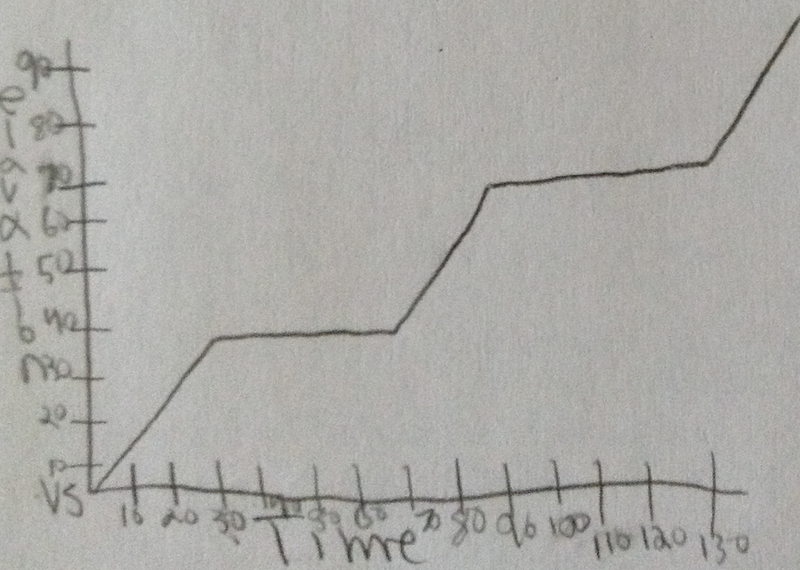 Level 1: I can annotate a graph using away from home and towards home, how fast and how slow. On the third day, we used Graphing Stories Video 2 to begin the lesson. 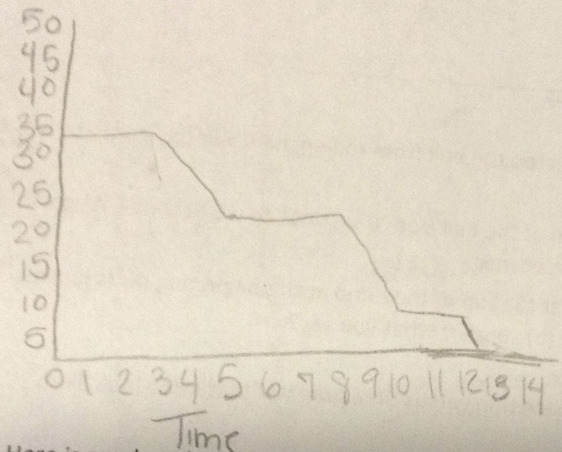 Level 4: I can create a believable story for a given graph. Level 3: I can calculate average rates of change for an elevation graph. Level 2: I can create an elevation graph from a video, labeling the axes with appropriate units of measure. Level 1: I can identify time intervals for each piece of an elevation graph. Level 1: I can calculate the slope of a line. 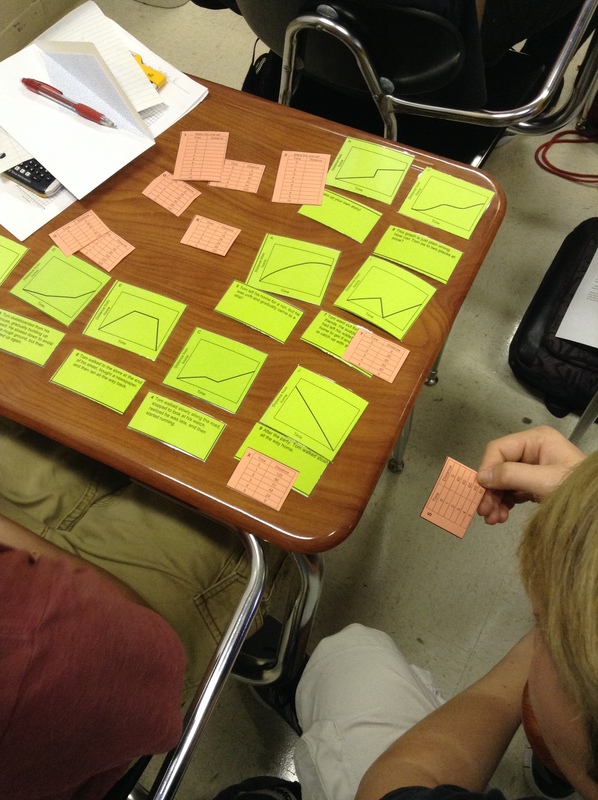 We used additional scenarios from Engage NY Algebra 1, Module 1, Lessons 1-2. There were more videos and scenarios on Day 4 from Engage NY Algebra 1, Module 1, Lessons 3-4. The lesson from Day 5 comes from David Wees’ webinar at the Global Math Department on Strategic Inquiry. We have read Timothy Kanold’s blogpost on Leaving the Front of the Classroom Behind. And we are trying. And we are most grateful to our administrators for letting us try it together before we have to try it alone.